David Deignan checks out Brian O’ Flaherty’s documentary When Hitchcock Met O’Casey, which tells the fascinating story of Irish playwright Sean O’Casey and English filmmaker Alfred Hitchcock’s 1930 collaboration on one of the early British ‘talkies’ – an adaptation of O’Casey’s Juno and the Paycock. It’s not often that Sean O’Casey and Alfred Hitchcock are mentioned in the same sentence, let alone thought of as close collaborators. The latter, oft hailed as the ‘Master of Suspense’, is a household name; renowned as one of the most significant and influential filmmakers to have ever lived. The former was, and still is, a widely celebrated writer and memoirist whose work is synonymous with Dublin’s Abbey Theatre. The Abbey produced the three plays collectively recognized as O’Casey’s crowning achievement: The Shadow of a Gunman (1923), Juno and the Paycock (1924) and The Plough and the Stars (1926). O’Casey emerged from Dublin’s poorest people; he was the first playwright of note to write about the experiences of the city’s working class, electrifying the Abbey stage – which was sustained in its early years by his work. By the end of the 1920s, with his art receiving international acclaim, O’Casey had moved to London where Alfred Hitchcock had already directed ten films, the majority of which were silent. It was the London premiere of Juno and the Paycock, in 1925, which brought the pair together for an unlikely project. Hitchcock adored the play and approached O’Casey with a view to adapting it for the silver screen. The Dubliner gave the filmmaker his blessing and the resulting film, released in 1930, turned out be something of an anomaly; an oft-forgotten and rarely talked about footnote in the outstanding careers of the two men. This documentary by director Brian O’Flaherty sets out to tell the story behind this altogether strange production and assess its place in the canon of each artist’s work. O’Flaherty’s film opens by contrasting the dichotomous backgrounds and upbringings of the two men. Through examining their early lives and careers, we learn about their totally different personalities and the documentary begins to hint that maybe – just maybe – the pair aren’t going to see eye to eye on every issue that arises during the production of Juno. The documentary decides to act as a study of these two characters just as much as it focuses on the making of the film. Structurally, this approach works well. It serves to ground the audience in the lives of both Hitchcock and O’Casey, while contextualising the world to which the screen adaptation of Juno arrived. The medium of cinema was still in its relative infancy, and Juno – which the doc states Hitchcock originally envisioned as a silent film – was produced during a period of great change, as sound-on-film was fast becoming the standard for motion pictures. As a result, Juno inadvertently became one of Britain’s first “talkies”. What’s so fascinating about this from a contemporary point of view is seeing Hitchcock who was still unfamiliar with this unheralded form of cinema and, like everyone else, had to learn the ropes. O’Flaherty’s documentary does a brilliant job of depicting this side of the production, showing the great director getting to grips with the new technology and exploring how this presented inevitable problems for his shoot. The documentary has managed to obtain a great deal of archive footage as well as clips from the film and snippets of interviews with Hitchcock himself, which imbue these stories with an immediacy and intimacy, making them feel contemporary despite being almost a century old. The stories of Juno’s production are really interesting, and the documentary is smart to intersperse the clips of Hitchcock – with his droll demeanour and wry sense of humour – throughout the film, with the director almost guiding us through the story of his project. The documentary also features a host of other engaging interviewees, the majority of whom are associated with O’Casey. These include Joe Mooney of the East Wall Historical Group and the writer’s daughter Shivaun, both of whom give valuable insight into the Dubliner’s life and, in the case of the latter especially, provide a sense about how he felt personally about Hitchcock and the eventual final version of Juno. Alongside the talking-head interviews and found footage, the documentary is punctuated by inserts of still drawings by Peter Marry. As a fan of Juno, as well as both artists’ work, I can’t help but wonder whether the documentary would need an audience to be familiar with the play to fully appreciate this documentary. It wouldn’t be strictly necessary, but some of the production stories are undoubtedly helped by a knowledge of the source material. The fact that Alfred Hitchcock and Sean O’Casey are so different, both as artists and as people, is what makes this story enticing. The documentary is at its strongest when it focuses on the interaction between the pair, as their lives and careers dovetailed momentarily, and there is part of me that wishes O’Flaherty had been able to focus more on their relationship and deliver a more personal account of their brief partnership. Nevertheless, When Hitchcock Met O’Casey is a well researched and executed historical study of a truly enigmatic film and a fascinating examining of an oft-forgotten collaboration. When Hitchcock Met O’Casey screened on 21st February 2019 as part of the Dublin International Film Festival (20th February – 3rd March). Little pits its three gifted comedic actors against the conventions of mainstream Hollywood comedies. In the battle what’s left is a middling film with some intermittently very funny scenes. It does not reach the highs of say Girls Trip or Spy but ranks above dreck like Identity Thief or The Change-Up. Rising star Issa Rae (HBO’s Insecure) plays April, the overworked assistant to Scary Movie’s Regina Hall’s Jordan, a ruthless highly-strung tech mogul. As a result of being bullied as a child, the boss has grown cruel, treating everyone at her office like trash. After Jordan berates the daughter of a street vendor who made her angry, the young girl places a spell on her. The boss wakes up the next morning in the body of her young self, played by Black-ish’s Marsai Martin. Based on an idea by its 14-year-old lead and executive producer, Little works best as a star vehicle for Martin and Rae. The film really comes alive in its middle portion, putting April and young Jordan together for a string of misadventures – such as having to deal with a child protective service agent (the great Rachel Dratch). It’s always funny when children act like grown-ups and Martin manages to charm while nailing the ‘take no prisoners’ attitude of her adult self. Bounce that against the perpetually cheery Rae and it’s a winning combination. However, like a lot of plot-driven comedy, somewhere along the way the jokes grow infrequent. This is because the movie starts hammering home its simple message – that adults should embrace their inner child more as kids are purer and more idealistic. Concluding with Jordan taking part in the same talent show that led her to be bullied in the past, performing one of the movie’s many dance routines, the viewer just wishes that time was seeded to more of Martin and Rae’s witty banter. There’s also other issues like the completely redundant bookending narration by Regina Hall and the fact that even before the magical sub-plot is introduced, nothing in the movie feels rooted in any tangible reality. In regards the latter, if anyone acted like Hall’s Jordan in real life they would be arrested. While this is forgivable as Little is a fantastical comedy, it’s hard not to feel that if the movie made adult Jordan feel even slightly realistic and had her tech company offices resemble a real-life workplace, the viewer might relate more to Little’s characters by the time the shift into fantasy comes. Lacking gross-out gags, the movie will appeal to all audiences – something uncommon in the landscape of modern Hollywood comedies. If you are looking for a light movie where talented comediens dress in the most fabulous clothes, Little is a fine way to spend about 100 minutes. Reporting directly to the Inward Production Manager this role supports the Inward Production Department in attracting international film and television production to Ireland as well as supporting national projects in Ireland. The candidate will be responsible for project monitoring, online locations database management and website content as well as the creation of marketing materials for producers/ studio executives. The candidate will assist the Inward Production Manager with project queries, locations recces and scouts, and in the key priorities of enhancing film production across Ireland and the promotion of the Irish film industry on an international level. Key to this role will be providing necessary administrative support to the Inward Production Manager in a very fast-paced, dynamic environment. Click here To find out more about the role, including key responsibilities and the application process. Fis Eireann/Screen Ireland is the national development agency for Irish film and animation investing in Talent, Creativity and Enterprise. The agency also supports and promotes the Irish film industry and the use of Ireland as a location for international production. Calling all filmmakers! 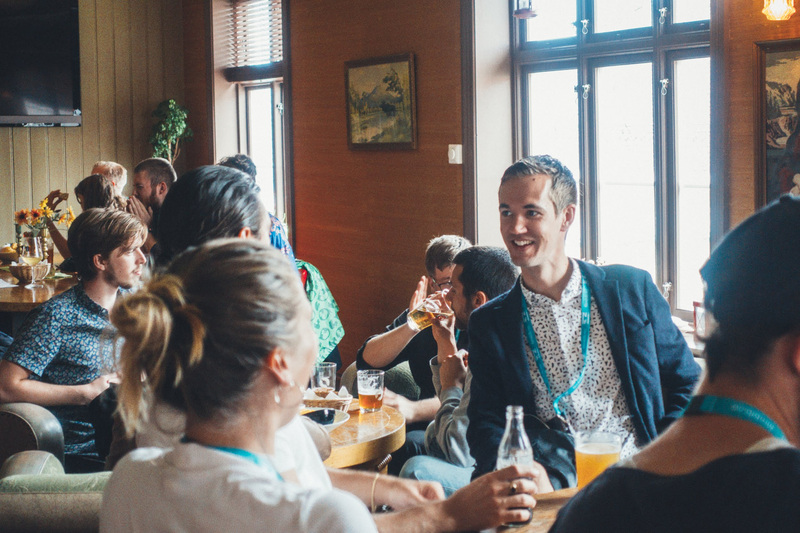 As a Screen Talent Europe partner, the Galway Film Centre is delighted to announce that applications for the Pitching Forum at the Norwegian Short Film Festival are now open. 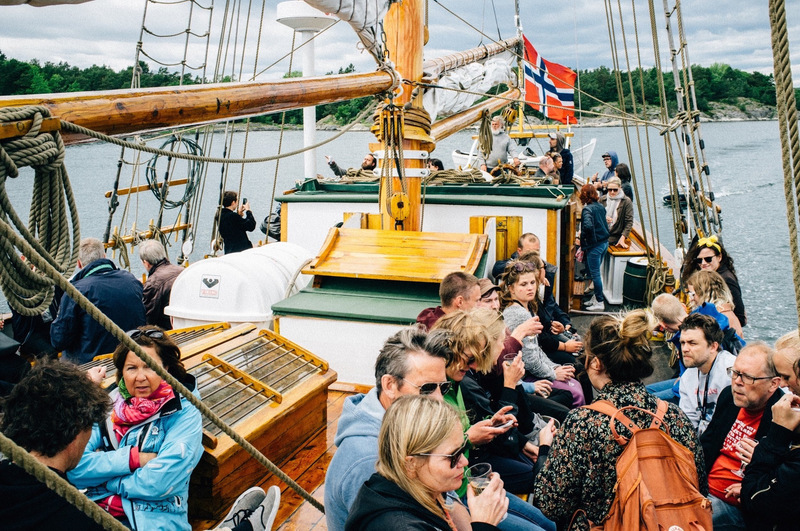 Screen Talent Europe in collaboration with The Norwegian Short Film Festival invite emerging producers, directors and screenwriters from Europe to pitch new short film projects at the festival in Grimstad, Norway, June 12th–14th 2019. It is free to participate and the costs of transportation and accommodation (3 nights) will be covered by Screen Talent Europe. The best pitch will receive a production grant of €4000. 10 short films will be pitched during the Pitching Forum. In a 5-minute pitch, each participant will present their project to a pitching jury and an audience of potential co-producers, financiers and filmmakers attending the festival. The Galway Film Centre selected Mia Mullarkey to pitch at the 2018 Norwegian Film Festival. Read all about her experience here. Producers, directors and screenwriters must have produced at least 2 films (short fiction or documentary). You must apply with a project in development (fiction or documentary) with a maximum length of 30 min. You will also get a free accreditation for the entire festival program. The Norwegian Short Film Festival is a short film and documentary festival with a competition programme for Norwegian and International short film, Norwegian documentaries and Music Videos. In addition to the award programmes, the festival present international documentaries, arrange workshops and seminars, concerts and boat trips. 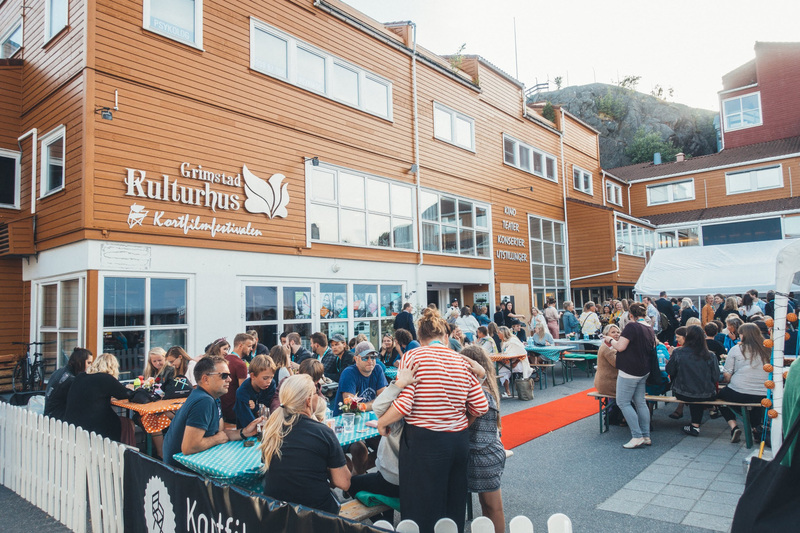 The competition programme for international short films attracts filmmakers from all over the world to Grimstad, and the festival facilitates for bonds to be tied between the Norwegian and the international film community. Cinemagic Film and Television Festival for Young People returns to Dublin this May and June with a programme jam packed full of diverse creative opportunities to inspire and motivate young people. This year will see a number of new exciting elements added to the programme and visits from representatives from Aardman Animations, Brown Bag Films and Cartoon Saloon! A new screening series entitled Talking Pictures will offer the chance to view Irish movies with talks from filmmakers and film professionals involved in the productions. Among the industry names who will take part will be Frank Berry, Carmel Winters, Lee Cronin, Aislinn Clarke, Paddy Breathnach and Andrew and Ryan Tohill. For an even more immersive experience, young people can be part of the first Cinemagic Talent Lab Boot Camp for 16+yr olds and it will include masterclasses, seminars and Q&A’s with film professionals who will provide insight into the industry in a range of disciplines such as Production Management, Assistant Directing, Editing, Camera, Sound, Art Department & Costume, Hair and Makeup and Location Management. The opening film of the 2019 festival will be an Irish Premiere of Racetime, a wild adventure through the trials and tribulations, passions, joys and little victories of childhood. The premiere takes place on the 28th May at 7.00pm in ODEON Point Square. The Cinemagic Talent Lab Boot Camp is a one-day event in Liffey Trust Studios for new entrants to the film and television industry or those interested in entering. The Boot Camp programme is aimed at aged 16+ year olds and will include masterclasses, seminars and Q&A’s with film professionals who will provide insight into the industry in a range of disciplines. This is a great opportunity for new entrants to learn more about the film and television industry, gain insight from industry professionals, network with other new entrants and develop knowledge and key skills. A series of film screenings and talks with filmmakers and film professionals celebrating Irish filmmaking talent and offering advice and top tips for young people with an interest in a career in film. Screenings include the winner of Best Irish Film at Galway’s Fleadh, Michael Inside plus Q&A with Frank Berry; Float Like A Butterfly plus Q&A with Carmel Winters, a gloriously unruly collision of vivid romanticism and tough, unsentimental truths about the hardscrabble lives and casual discrimination faced by Irish travellers; the suspense filled supernatural thriller, The Hole In The Ground plus Q&A with Lee Cronin; The Devil’s Doorway plus Q&A with Aislinn Clarke, a confident and timely chiller and the first feature horror film written and directed by an Irish woman; Rosieplus Q&A with Paddy Breathnach, an examination of how even in times of crises, the love and strength of a family can endure and The Dig plus Q&A with brothers Andrew Tohill and Ryan Tohill, a gripping debut feature from award-winning Irish directors Andrew and Ryan Tohill. Filmmakers Lee Cronin and Andrew and Ryan Tohill are success stories from Cinemagic Film Festival as winners of Cinemagic’s annual Young Filmmaker Competition. A new addition to the programme this year will be a collection of new short animations designed to appeal to young children. They express colourful, exciting and easy to follow stories, either in English or with no dialogue. These short movies packaged over 60 minutes take place in ODEON Point Square and include Sam’s Dream, about a small mouse who decides to make his dream come true; A Tiger With No Stripes; Matilda, a little girl who overcomes her fear and discovers magic of the night, Belly Flop, a story of persistence; Miriam By The Lake, the story of a restless chicken who makes the acquaintance of spooky night creatures; a beautiful story of inclusion in Coucouleurs; Cycle, where a young girl discovers that true adventure begins where the road ends; 6.1, a story with a girl and a cat that is full of surprises; To & Kym, two little creatures who chase each other around the busy streets of Toyko as they re-enact a game that has lasted hundreds of years and Lost & Found, about a clumsy crochet dinosaur must unravel itself to save the love of its life. Young film buffs will be spoilt for choice as the festival invites them to immerse themselves in a myriad of movies all screening at the ODEON Point Square over the first weekend of the festival, the 1st and 2nd of June. Choose from Revolting Rhymes, your favourite Nursery Rhymes retold by the master of story-telling, made complete with an ever-so wicked Roald Dahl twist; family favourites The Gruffalo’s Child and The Highway Rat, a fabulous, rollicking adventure inspired by the famous Alfred Noyes poem, and ‘Princess Emmy, animated entertainment aimed at fans of princesses and magic. Cinemagic will also bring a whole range of new films to the ODEON Point Square for the whole family to enjoy over the June bank holiday. The fast paced, adventure packed titles include Dino King: Journey To Fire Mountain, an action-packed family adventure that combines the realism of ‘Walking with Dinosaurs’ with the heart of ‘Finding Nemo’; Alone In Space, a high concept, family sci-fi, bolstered by sharp production design and visual effects; the magical Ötzi And The Mystery Of Time; Belle And Sebastian, Friends For Life, the story of a loving grandfather and grandson set out on a quest to save their dog, set high in the French Alps and Captain Morten And The Spider Queen where viewers will follow Morten on his shrunken adventure! Cinemagic will present a feast of films from all over the world for 12+ year olds focusing on themes of love, justice, friendship and family. A Colony, a film that sees young teenagers in search for a place where they can be themselves; Dilili In Paris, the latest offering from movie maestro, Michel Ocelot with an evocative animation that see a young girls fight for justice; The Runaways, an atmospheric and uplifting celebration of childhood and family; My Extraordinary Summer With Tess, a young boy learns the importance of family and friends during his adventures with his new friend, Tess; Fight Girl which explores real life issues around family and an acrimonious divorce; Funan, a thrilling story of love, loss and enduring hope in the most trying of times; the irresistible comedy Amateurs; The War Game, a thought-provoking and tense youth drama and Bruce Lee And The Outlaw, a modern-day Oliver Twist story set under the streets of Bucharest. The Festival is recruiting three film juries for June to watch new films from around the world, take part in in film reviewing and critiquing workshops and meet like-minded young people. For more information email juries@cinemagic.ie for details on sessions for 8—11 yr olds, 12-14yr olds and 15-18yr olds. Highlights include Lego Animation workshops with Joel Simon and ‘Model Making’ with Aardman Animations, where participants will learn how to make their very own Feathers, Gromit or Shaun the Sheep character. Mårten Jönmark, Brown Bag Films (Doc McStuffins, Peter Rabbit) will host a storyboarding workshop sharing skills on telling stories visually and Caoimhe Ní Bhrádaigh, Cartoon Saloon (The Secret of Kells, Song of the Sea, The Breadwinner) will present a workshop exploring the science behind the magic of animation. Young people can also learn how to tell a short story in a storyboard with David Bunting’s fun-filled workshop inspired by his 20 years’ experience working on projects such as Disney’s The Tigger Movie, Shaun The Sheep, Bob The Builder and Dennis & Gnasher. Secondary Schools and Colleges can avail of costume making, props making and creative writing workshops and unique film screenings accompanied with short talks from production crew members. The films include Keepers of the Flame and a Q&A with its Writer/Director, Nuala O’Connor and The Camino Voyage and a Q&A with Director Donal O’Ceilleachair and Zoo with a Q&A by Producer Katy Jackson and Director Colin McIvor. These will provide an invaluable insight to the filmmaking process and the social issues around the stories. The highly acclaimed filmFree Solo will be introduced by Mountaineering Ireland, and a screening of Captain Marvel is accompanied with a workshop on film classification from IFCO. Primary Schools have a feast of film events to choose from with How To Train Your Dragon: The Hidden World, The Gruffalo’s Child & The Highway Rat, The Lego Movie 2: The Second Part, Dumbo, Revolting Rhymes and a workshop ‘The Science of Roald Dahl’, Aladdin and Disney Ireland/Industry Trust Q&A, Peppa Pig: Festival of Fun and a Drama session, and Matilda andstorytelling with Jack Lynch. Both Secondary Schools and Primary Schools can enjoy movie screenings of shorts packages in their classroom accompanied by review sessions with the Cinemagic team. Nursery schools can get involved in drama workshops and screenings of short animations from around the world in their own nursery/pre-school and immerse themselves in a cinematic experience. Cinemagic Dublin is funded by the Department of Education and Skills. The Irish Film Institute has unveiled the first volume of The Loopline Collection, showcasing materials from Loopline Film, one of Ireland’s most influential production companies. Founded in 1992 by filmmaker Sé Merry Doyle, this pioneering company specialised in documentary and TV series, producing a number of hugely important films including significant portraits of prominent cultural figures and work highlighting pressing social issues. Among the material is previously unreleased footage of U2 playing live on Sheriff Street in 1982. The material is accompanied online by never-before-seen outtakes, interviews and additional material, giving unparalleled access not only to the subjects themselves, but to Merry Doyle’s immersive, detailed and committed filmmaking approach. This first volume of the collection documents fascinating moments in recent Irish social history: most timely is Liam McGrath’s Essie’s Last Stand, a look at an elderly woman’s fight to stay in her home as developers look to take over her apartment block for redevelopment. Alive Alive O: A Requiem for Dublin features original poetry from Paula Meehan, and examines a time when the livelihoods of Dublin’s iconic street traders were under threat and when drugs became a scourge of the inner city; the film, directed by Merry Doyle, includes footage shot by cinematographer Robbie Ryan, Oscar-nominated this year for his work on The Favourite. Looking On focuses on a vibrant inner city festival in 1982, spearheaded by activist Mick Rafferty and the late politician Tony Gregory, and features the early rooftop appearance by U2. Other titles to feature as part of the collection include the intimate portrait Patrick Scott: Golden Boy, produced by Andrea Pitt and Maria Doyle Kennedy of Mermaid Films as part of RTÉ Arts Lives, which gives an unparalleled insight into the work of one of Ireland’s foremost abstract painters; the film includes footage shot by Seámus McGarvey, the Oscar-nominated cinematographer of Atonement and Anna Karenina. Patrick Kavanagh: No Man’s Fool is a focus on the life of the renowned poet, with contributions from poets John Montague and Macdara Woods, writer Dermot Healy, and singer Jimmy Kelly. The Imprint series, hosted by Theo Dorgan and first broadcast on RTÉ between 1999 and 2001, features in-depth and revealing interviews with some of the literary world’s most notable figures such as Margaret Atwood, Richard Ford, Gore Vidal, Eavan Boland and Colm Tóibín, while the six-part series The Good Age, originally broadcast in 1997, is an intriguing look at the issues facing older people, with candid personal testimonies about intimacy, self-care and ageism. The Loopline Collection Volume 1 is available now on the IFI Player. Anthony Kirby gets trapped in Neil Jordan’s latest film, Greta, which screened at this year’s Dublin Film Festival. After a six year hiatus auteur/director Neil Jordan makes a brilliant return to cinema with this suspenseful gothic chiller. Boston-born Frances McCullen (Chloë Grace Moretz) finds a designer handbag on the subway while returning from work as a waitress in a five-star restaurant. She’s anxious to return it and tracks down the owner, Greta Hideg, (Isabelle Huppert). Greta is a French-born piano teacher who lives in a beautiful brownstone apartment and loves Liszt, especially his haunting Liebestraum . Visiting her for afternoon tea, Frances is troubled by a loud banging which even Greta’s piano virtuosity can’t drown out. “ Oh they’re remodelling the next apartment,” says Greta offhandedly. Frances is mourning the recent death of her mother and immersing herself in work. Greta still mourns the death of her daughter some years earlier. The younger and older women seem to find succour in each other. Frances shares a sumptuous apartment with streetwise New York native Erica ( Malika Monroe , Widows). Erica is cautious about Frances’s new friendship and says so . Then on a subsequent visit while looking for condiments while about to enjoy dinner with Greta, Frances opens a wrong drawer and finds ten bags identical to the designer bag she returned to Greta. Alarmed, she makes a lame excuse and a quick exit. It is then that things take a turn for the worse as Frances realises she has been lured into Greta’s web. Great actors such as Christopher Plummer in All the Money in the World , Fay Dunaway in Mommie Dearest and Glenn Close in Fatal Attraction enjoy the challenge of playing demented characters. Isabelle Huppert is no exception and relishes giving a no holds barred performance. Kudos again to Jordan for his encouragement. What follows is a masterful tale of obsession and suspense, co-written by Jordan alongside Ray Wright. It’s hard to say who’s having more fun Hubbert or Jordan . Of course neither have anything to prove at this point in their careers. Seamus McGarvey’s camera work is excellent without being obtrusive especially in the final scenes. The only sad thing about this thriller is that Jordan stalwart Stephen Rea and Irish Canadian Colm Fiore are so underused. Ultimately the film is a triumph on the part of Jordan and Huppert and certainly a feather in young Chloe Grace Morentz’s cap. Perhaps like Fatal Attraction it will become something of a classic. Greta screened on 2nd March 2019 as part of the Dublin International Film Festival (20th February – 3rd March). The Department of Culture, Heritage and the Gaeltacht has issued new guidelines on Section 481, the Irish tax incentive for the film, television and animation industry. There are a number of key changes in how to apply for the incentive, together with a new requirement for producers to submit a Skills Development Plan for approval by Fís Éireann/Screen Ireland (Screen Ireland) for all projects with eligible expenditure in excess of €2 million. Commenting on the changes James Hickey, Chief Executive, Screen Ireland said: “We welcome the new changes to the administration of Section 481. The new skills development requirement linked to the tax credit will provide a strong structured basis for the sector to grow and develop in the coming years, focusing on the skills of the individuals working within the industry. The new skills development requirement is wide-ranging and inclusive, covering skills development across all levels of production, focusing on quality over quantity in terms of the outcomes it delivers. The award winning debut feature film from writer/director Sean Clancy is now available to buy or rent on Amazon Prime. The film is described as a dark comedy about decision and control as a floundering stand-up comedian reluctantly takes a teaching job and struggles to make sense of his slowly unravelling life. Stuck repeating the same pattern of mistakes again and again, Andrew Egan reluctantly accepts a teaching job to support his floundering, stand-up comedy career. As an increasingly anxious Andrew grows accustomed to the droll institution and its occupants he suspects that one of the students may be his downfall and that the previous teacher may not have left of his own accord. His life slowly unravelling, Andrew’s lessons fall on deaf ears and he soon becomes part of a larger cosmic joke. Kerry Short Film Bursary 2019 is now open. The Film Bursary Award aims to foster talent, creativity and activity in film making in County Kerry. The Bursary is for a short drama film of 10 to 12 minute in duration & is set as a grant and valued at €10,000 for 2019. Looking for funding for your film? Want to submit your work to festivals? Keep an eye on upcoming deadlines here. Writing Mentorship Scheme 23rd July 2018.